Artist Kyarna's latest work is heading in a new direction. She's getting hands on - literally! Elements at Montville has long since made its mark as the hinterland’s tea house with a difference. This is no place for a quick cuppa – to rush your visit would be to do yourself a grave injustice. To fully enjoy the Elements experience, you need to take time to savour the spectacular outlook across the lilting valley, try one of the famously scrumptious house-made cakes or baked treats, linger over a pot of one of the dozens of teas, or enjoy a sublime beauty treatment. If high tea is not your style, there’s also an extensive breakfast and lunch menu to mull over, with everything made fresh on site and with a strong focus on seasonal, local ingredients. All of which are reasons why Elements is fast becoming not only the foodie’s delight it is already well known for, but a haven for brides-to-be and their wedding parties. Of particular popularity with brides are the pamper packages Elements offers in its private beauty hideaway. These packages combine the high-tea experience with therapeutic and relaxing beauty therapy treatments – and there is a full range of treatments available including facials, body treatments, waxing and make-up. Owner Sarah Hallam says that while Elements has established itself as a teahouse and dining destination over its nine-year history, brides are becoming increasingly attracted to the holistic nature of the experience they can have for their pre-wedding celebrations. The men have not been forgotten, Sarah assures me, with many newlyweds finding a spot of relaxation well and truly in order. “It’s very girl-orientated, but we do have grooms and honeymooners as well, and couples,” she says. “We also do makeovers and all the bridal things – facials, manicures and pedicures. We have beauty therapists, make-up artists and massage therapists.”In line with the holistic wedding experience, Elements also has a range of unique homewares that make perfect wedding gifts. It also offers a wedding gift registry and the chance for guests to bestow the newlyweds with a one-off piece of art or keepsake – many created by local artists – to begin their new life together. “We sell a lot of paintings,” says Sarah. “And all different sorts of cushions and homewares, and hand-made local bits and pieces. There’s even the possibility of having the wedding itself there – Sarah says Elements has catered for many small functions, for 30 to 40 people, including intimate daytime weddings. But let’s not forget Element’s famous trademark – the quintessential high tea, bringing vintage glamour to the table. Three-tiered stands with fresh buttermilk scones, cloud-soft finger sandwiches and delicate petit fours such as miniature lemon tarts and cupcakes are made all the more delicious by being served on a vintage linen and tea sets. 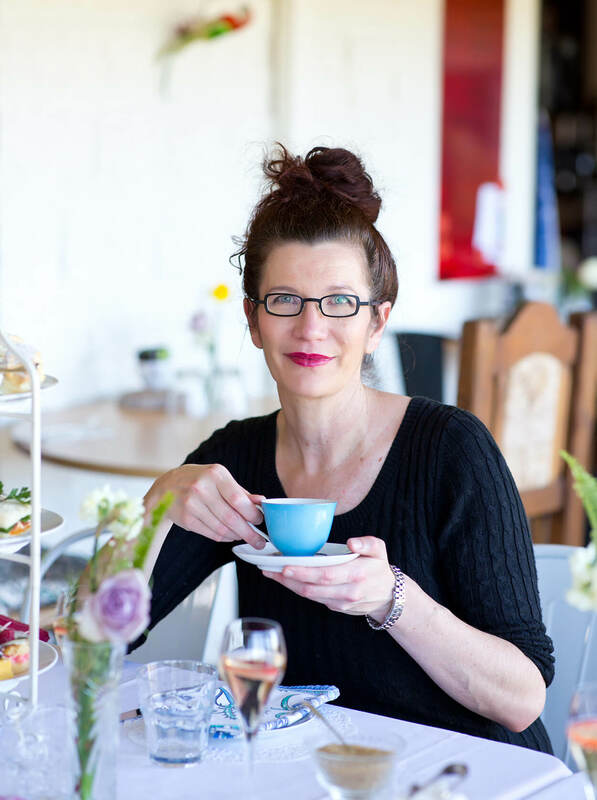 “Everyone loves that we use a vintage setting for our high teas – all the gorgeous tablecloths and old tea sets, and beautiful porcelain,” says Sarah. Special dietary requirements are amply catered for, with vegan, vegetarian and gluten-free options available. There’s also a strong environmentally friendly focus in Elements’ ethos. “We really try hard to cater for everyone,” says Sarah. “A lot of our products are vegan. We’re also very conscious of packaging and we look at all the environmental sides. “We try to be as chemical-free as we can be in the salon, including our make-up. And in the store itself, we buy seasonal local food. We can’t say we’re organic, but we do buy from local butchers and we buy local vegetables.